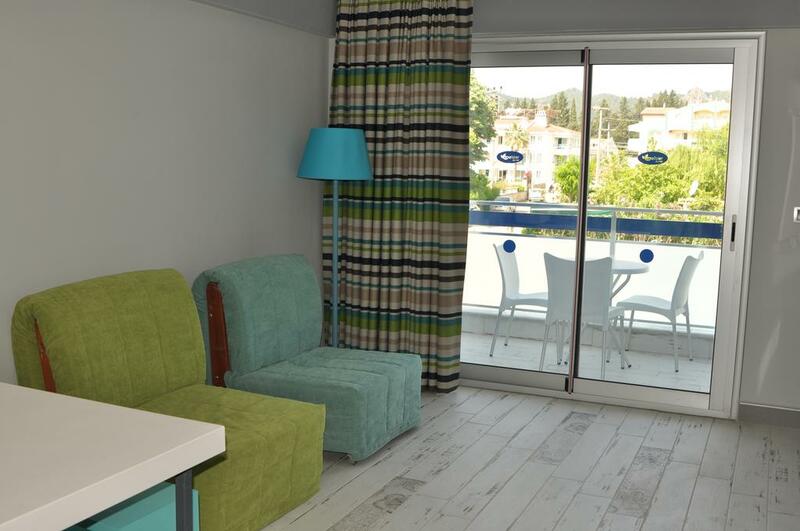 Exelsior Junior Marmaris is an ideal spot for family vacations and careless frolics in the sun. 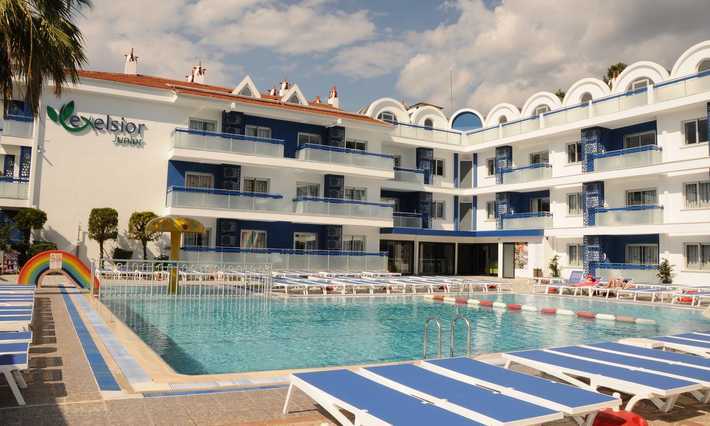 Located in the gorgeous city of Marmaris, it has all the features of a prefect heavenly resort. 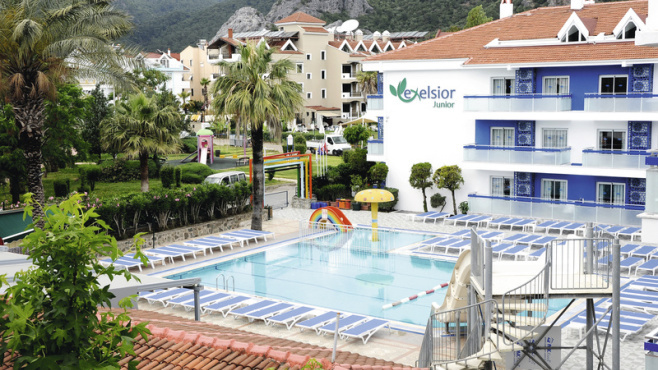 Exelsior Junior hotel offers an amazing assortment of entertaining spots within its grounds. It has three fresh water outdoor swimming pools and three fantastic waterslides, guaranteed to keep you and your kids amused during the day. There are also three poolside bars serving a wide variety of alcoholic and non-alcoholic beverages, and numerous cozy sun terraces with loungers and parasols. 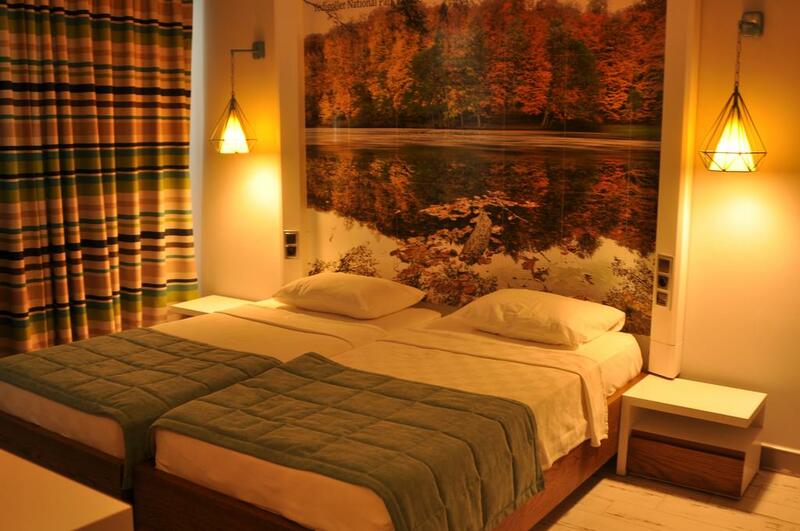 The hotel also has its own mini-market, sauna, Turkish bath, whirlpool, fitness room and much more. There is also a myriad of ways to entertain your children such as clubs, children’s pools, waterslides, play areas, mini-disco and more. 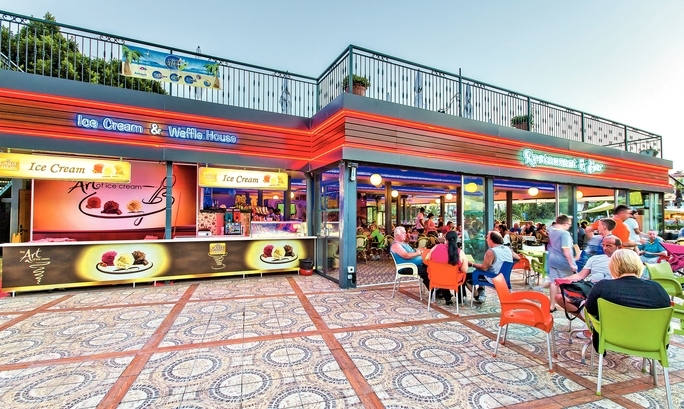 Exelsior Junior Marmaris also has two top notch restaurants, serving high quality traditional Turkish delicacies and other commonly known dishes. Each apartment is equipped with air condition system, satellite TV, kitchenette with cooking rings, fridge, toaster, microwave and cooking utensils, bathroom, hairdryer, safety deposit box and balcony or terrace. If you’re up for an unforgettable, fun and relaxing vacation in the sun with your family or friends, this lovely hotel has everything you need. Make your next vacation, your best vacation and spend it at Exelsior Junior. WiFi is available in public areas and at the reception, internet connection is free of charge.